Business description from prospectus – Vanta Bioscience is a preclinical contract research organization, offering a host of preclinical safety assessment services for clientele from Pharmaceutical, Medical Devices, Nutraceuticals, Feed Additive, Biotech, Agrochemicals, Cosmetics, and Chemical industries. In addition it also provides risk assessment services for evaluating the safety of the Active Pharmaceutical Ingredients (API), excipients, extractable and leachables including pharmaceutical impurities resulting due to manufacturing process or due to degradation of the product. VBS also provides expert services for determination of health based exposure limits (e.g. permitted daily exposure (PDE) or allowable daily exposure (ADE) including occupational exposure limits (OEL) for pharmaceutical manufacturers. Vanta Bioscience's financial performance - FY 2017 is the first financial year of the Company and the Company has not carried any operations during the period covered under this Restated Financial Report. Hence no profit and loss statement has been prepared. 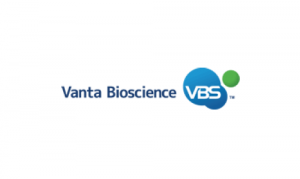 Vanta Bioscience IPO allotment status will be available on Bigshare Services' website. Click on this link to get allotment status.